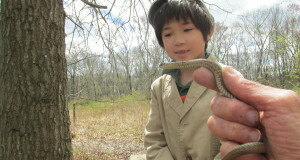 Additional studies are also being planned to determine if other herps, birds or mammals utilize vibration-based communication (invertebrates are known to do so). Another frog has forsaken vocal calls – as an adaptation to life near rushing streams that would drown out frog sounds, Panama’s brilliant Golden Frog uses a system of hand signals, known as semaphoring, to communicate. I have observed this in captive frogs and found it most intriguing (please see article below). It’s interesting to speculate just why the Red Eyed Treefrog evolved vibration-based communication (they7 use vocal calls as well). Many South American bats, such as the False Vampire, feed upon frogs and locate them by homing in on their calls. Certain frog species are known to modify their calls, utilizing a frequency that is difficult for bats to detect…perhaps the Red-Eyed Treefrog has taken this strategy a step further? 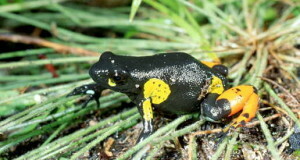 This research highlights how much there is to be learned about even commonly-kept, well-studied amphibians. Be sure to observe your animals carefully and take notes. 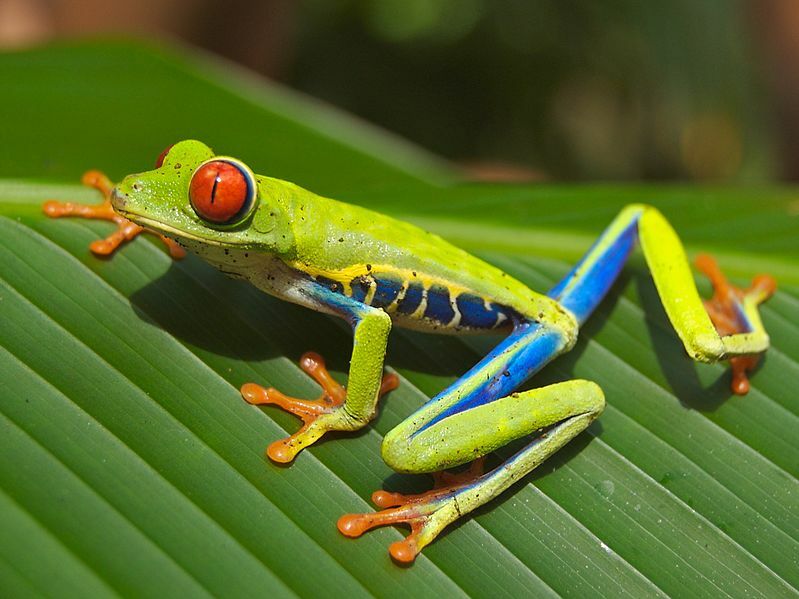 The Red Eyed Treefrogs in this study did not vibrate under regular light…you may wish to consider using night viewing bulbs http://www.thatpetplace.com/pet/cat/infoL3/23921/category.web in your quest to uncover further surprises. Vibrations are also important to this species’ eggs – they hatch spontaneously when attacked by snakes. Read more here. For more info on frog hand signals, please see The Unique Panamanian Golden Frog. 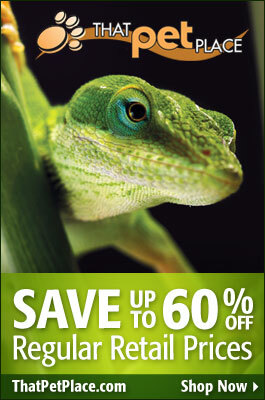 This is very interesting regarding the vibrating red eyed tree frogs. I witness this behavior with the male frogs around my pool. I have documented this behavior in my “frog journal” and it only seems to happen when they first wake up. I have only seen both the male fighting and male vibrating just after they have awoke and start moving around. Once they have established a territory, I don’t see either again, even when males cross paths throughout the night. Your is the first article I have seen regarding the vibrating behavior. Thanks.